It was from my daughter, a college freshman who is thousands of miles away from home but, at that moment, was reaching out for comfort, wishing she was curled up on the couch beside me. Which they did she mean? So many acts of hate had been directed at people like us that week—bombs turning up in mailboxes around the country, Black people killed while...upermarket—that I actually needed clarification. This time, this act of hate was an attack on Jewish people praying. This time, they had come for us in a synagogue. Usually, I try to reply calmly to my children’s questions—saving my venting and inner turmoil for my husband. That Shabbat afternoon, my fury boiled over. Instead of sending my daughter words of comfort, I typed the angry words that had been building inside me all day. I texted back that, throughout history, the act of Jews gathering together has been a revolutionary act. We keep doing it and they literally cannot stop us and they have literally tried everything. Even before I was Jewish, I understood this viscerally. To be Black and Jewish is to stand with two peoples whose very existence is an act of defiance spanning hundreds or even thousands of years. To be Black and Jewish is to identify with two peoples for whom a racist, violent attack on one of us is felt by all of us. These attacks, these invasions—in our sacred spaces, in our very homes—Black people, Jewish people, Black and Jewish people, we feel them personally, viscerally. Even learning the details of these events causes us trauma. We collectively live our pain. But that is why we survive. The we is why we survive. As I wrote these words to my daughter, I imagined my congregation humming hine ma tov umanayim, shevet achim gam yachad—how good and pleasant it is for brothers and sisters to come together—and that’s when my tears of rage spilled over. An attack on a synagogue is an attack against the entire Jewish people. There, we share our compassion and strength, as members of the community rise and say the Mourner’s Kaddish. 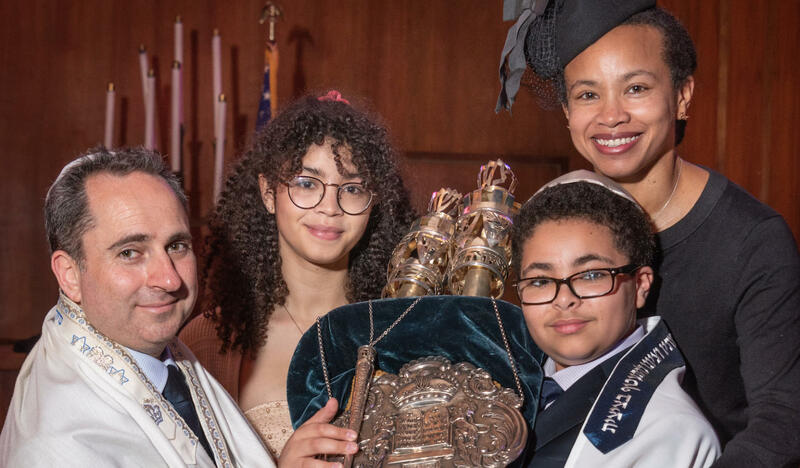 There, we share our joy as newborn babies are welcomed by the congregation; there, we shine with pride as young women and men are called before the Torah as b’nai mitzvot. Looking around us, we see that we are many, and yet we remind ourselves, with the Shema, that we are one. We welcome one another, shaking hands and hugging and wishing hearty “Shabbat Shaloms” at the end of services. The doors of Tree of Life, as many have said, stood open, welcoming the we that is the Jewish people. That is what was attacked on Saturday: the openness that is our strength. Maintaining that openness is an act of defiance, too. For that’s exactly what we’re going to do; that is what we always do. We will do this together. We will gather together, as we have done through history. They keep trying, but they never stop us. In the end, we always win. Check out the debate between David Frum and Steve Bannon. Frum said similar. Dark forces will lose.